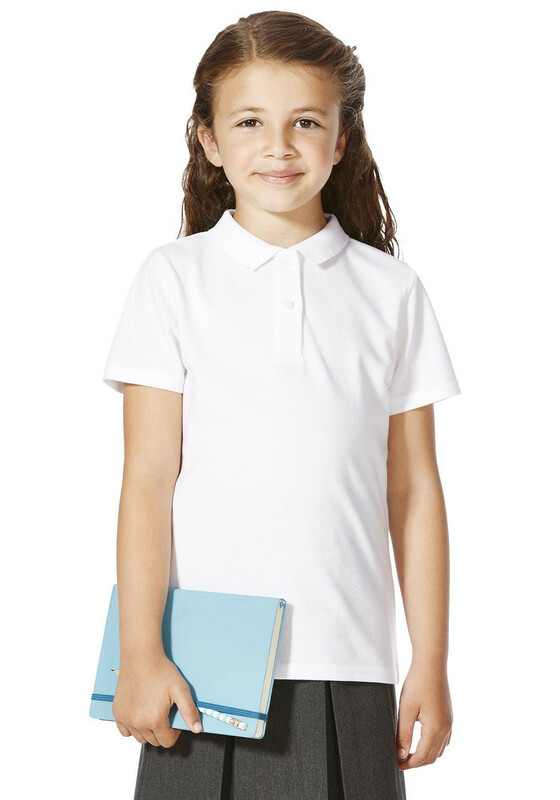 As a school essential, why not try this pack of soft, short sleeve White Polo Shirts? 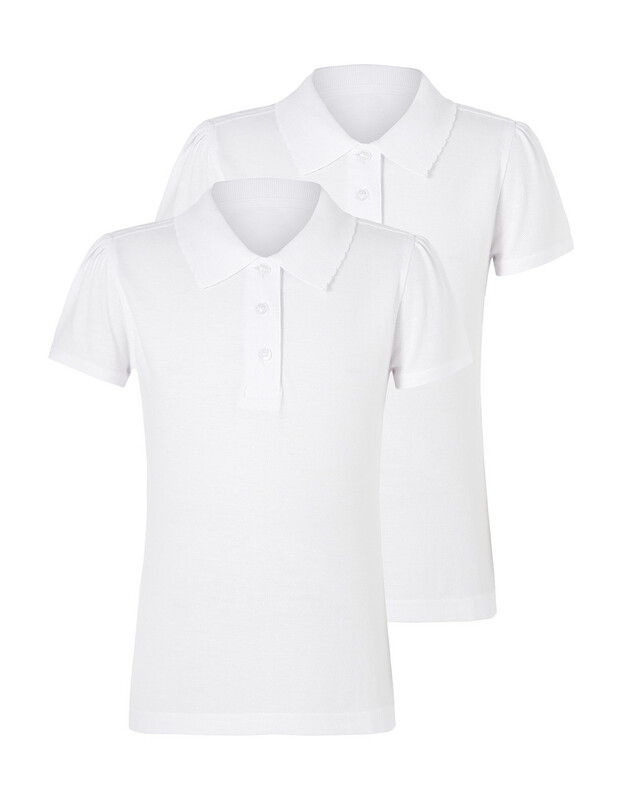 These have a scallop edged collar for a pretty finish, and are woven from 100% natural cotton fibre so that they are breathable and cool on the skin. 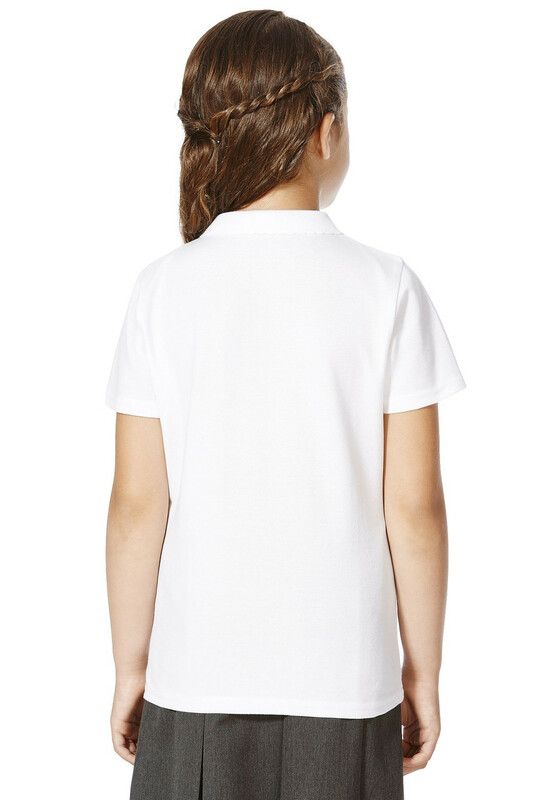 Our 'Stay White' technology helps to keep your whites looking whiter, wash after wash. These have been independently tested to ensure the colour and brightness is maintained for a minimum of 20 washes.